In matchday one, Brad Garlinghouse defeated Eric Voorhees and Tim Draper defeated Zhao Changpeng both 1-0. Tyler Winklevoss and John McAfee put up a tough match on matchday one that resulted in a draw at 3-3. 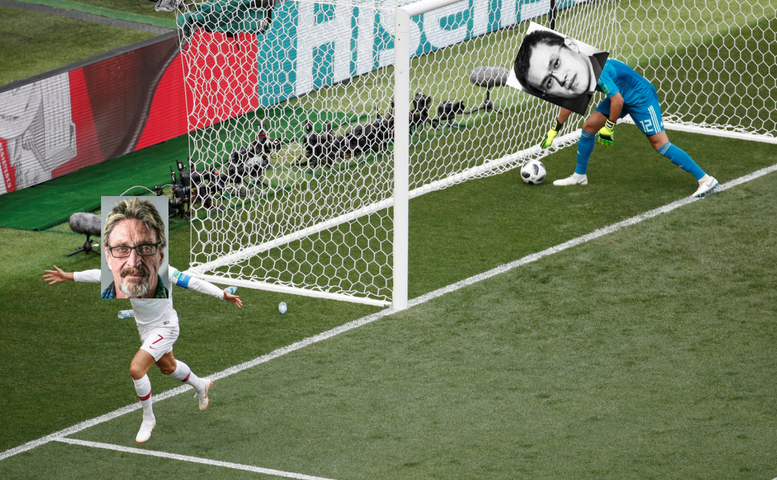 John McAfee pulled off a hat-trick which was the 51st hat-trick scored in World Cup History.